It is vital that walls are strong, stable, waterproof and fireproof. The way that the roof is affixed to the wall is also very important. The fundamental structure of a house is formed by its external walls, which must support the roof and take any other load that is built above. The section of the National Building Regulations that deals with walls is SANS 10400-K and it has several parts, each dealing with building walls, and the elements of how both internal and external walls should be correctly constructed. 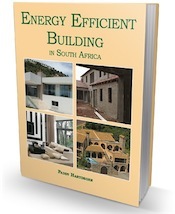 Like much of SANS 10400, Part K: Walls has changed quite substantially, both in terms of the legislation and the section that deals with The application of the National Building Regulations, which is the document prepared by the SABS and published separately to the legislation. This article deals primarily with the changes to the legislation, and how it applies to building walls, rather than the South African National Standards. This has been substantially expanded. Previously the legislation simply said the walls should be capable of safely sustaining any loads to which they would be likely to be subjected. It also said that structural walls should be capable of safely transferring such loads to the foundation supporting a structural wall. There are various walling materials available, made primarily from clay and cement-based products. You will need to decide which is the best material for your particular purposes. Walls can also be built with stone or timber, but each material has its own set of methods to satisfy the requirements. Solid brick walls normally consist of two brick skins that are joined together and strengthened with brickforce or brick reinforcing and/or wall-ties (a mild steel wire laid between some of the courses to add strength). The interior and exterior surfaces are normally plastered but may be fairfaced (facebrick). Concrete block walls are a more economic option and are often used for garages and outbuildings. Whatever materials you choose to use when you build, the method used for building walls must comply with Part K 2 of the regulations. Primarily they must be built to prevent water penetrating into any part of the building. All cavity walls must be well drained by means of weep holes above a damp-proof course. All cement bricks and blocks are relatively porous and should be plastered or rendered on both sides for thorough waterproofing. Basements and semi-basements are also referred to in the “new” legislation, and any room below ground must be adequately waterproofed. In recent years, a variety of alternative construction methods have been developed, most notably in the sphere of cheaper housing. These include the building of walls with insulated fibrecement panels; with fibreglass panels; creating the basic structure with shuttered no-fines concrete; using polystyrene sprayed onto a basic framework; or piling up sausage-shaped bags of sand and cement. If you want to use any altrernative method it would be best to contact your local authority planning division, or building inspector, for guidance. While this clause of the legislation is basically the same as it was previously – one word has changed with forces deleted and actions replacing it – there are substantial amendments to the so-called “deemed-to-satisfy requirements” published in SANS 10400, Part K Walls. Similarly there are many changes – more so in the form of additions – to SANS 10400, Part L Roofs. Part K 4 deals with Behaviour in Fire, and state simple that, “Any wall shall have combustibility and fire resistance characteristics appropriate to the location and use of such wall”. Brick, block and stone walls are generally accepted as fire resistant. Timber frame with timber or fibrecement cladding need to be certified, and you should check with the supplier regarding these rules for their type of walling, before you decide which material you are going to use for building walls. Would a wall that is close to 5m high be able to support a full roof structure? |Client does not want a slab in between floors but rather wooden decking. Hi Herman, WOW! 5m is VERY high. This would all depend on how the architect designed the structure. If it was designed to take a concrete slab you cannot just assume that the wooden floor can be substituted. Best to contact the architect for advice on this. I don’t seem to be-able to find this reference. There is no tolerance. This is basic building practice. Quite simply, unless design specifies otherwise (and this would be on the plans), all walls must be built at right-angles to each other; all horizontal surfaces must be flat and level; ad all vertical surfaces must be straight and plumb (perpedicular). It really isn’t rocket science! Apologies for the delay in responding, we have had very high volumes of queries and only two people available in spare time to respond. What is the tolerance (straightness in section) allowed for stock brick walls to be plastered and stock brick walls to be bagged in section ( floor to ceiling height 2400mm internal, and 6000mm external). What is the maximum mm plaster allowed on internal and external stock brick walls. Im wanting to build a single garage with a facade wall and carport. What is the maximum height one can build if using 140mm blocks. I also will have support walls on either side of the facade. One on the common boundary and the other tied into my existing house. You need a “competent person” to draw up plans that must be submitted to, and approved by Council. You can instruct the person you work with that you want to build with 140 mm blocks. They will advise. Hi im preparing to build a house my problem is i want to use face brick out side and blocks instead of mampara is it okey like that? If it’s on your approved plans it is fine. However I don’t know what you mean by “mampara” – inferior product?